Just wanted to put this out there for those looking for places to ride in Scotland... The 7 Stanes trail centers, and specifically Glentress, are amazing! I took the family to Scotland and Northumberland recently for a family holiday, and one of the activities we looked into was mountain biking. Based on some info from Mr Pig, one of our Scotland locals here on the forum, we decided to check out Glentress. Located a relatively short drive from Edinburgh (45 min by car, 1:30min via bus), Glentress is easily accessed. Alpine Bikes has a shop right at the trailhead, with bikes to rent varying from simple hardtails to high-end demos. 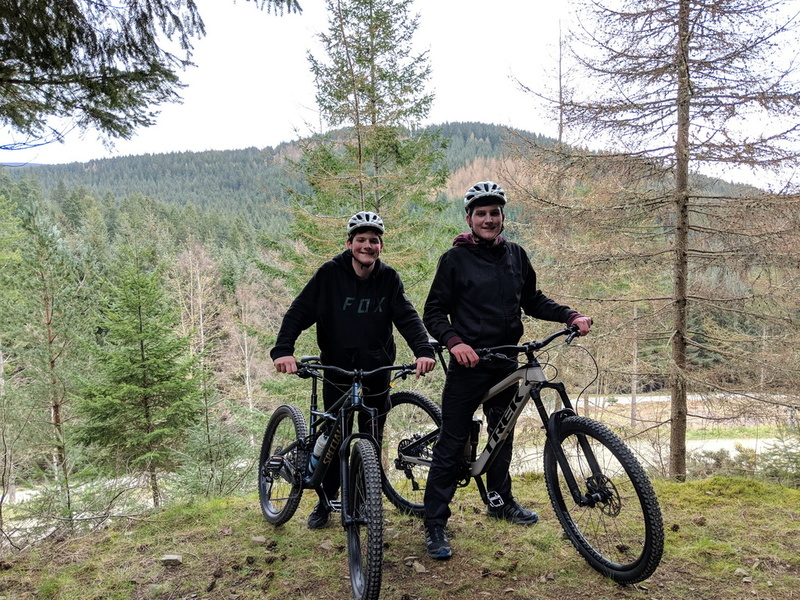 When we visited in March 2019, daily rental prices were £25.00 for the hardtail, £50.00 for the mid-level full suspension, and I believe £80.00 for the high-end full suspension. We opted for the mid-level bikes, and were set up with a Trek Remedy, a Trek Slash, and a Specialized Enduro. The guys at Alpine were very helpful, even swapping the brake levers for us Americans. It was possibly the coldest day this spring when we were there, so we had to balance staying warm with having fun. Going too fast downhill caused fingers to freeze, and working too hard on the uphills led to too much sweating! In spite of this, we had a blast. The trail network is awesome, and there are trails available for all age groups. Thanks again to Mr Pig for the recommendation, we loved our day at Glentress! Lets just say we weren't fully prepared for the day. Somehow the gloves were left back at the flat in Edinburgh... but we managed to make it through the day without any frostbite! And tea in the cafe afterwards was great. Which CB pedals for Glentress (Scotland)?